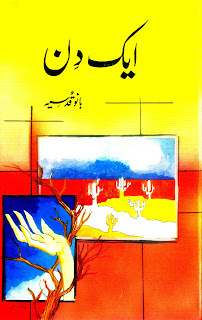 Bano Qudsia (Urdu: بانو قدسیه) (born 1928) is a writer, intellectual, playwright and spiritualist from Pakistan who is regarded among the best Urdu novelists and short story writers of modern times. She is best known for her novel Raja Gidh. She writes for television and stage in both Urdu and Punjabi languages. She is the wife of famous novelist Ashfaq Ahmed. Bano Qudsia is recognized as a trendsetter in the realm of television plays. Some of them gained immense popularity across the border because of their vitality, warmth and courage. Strife is one word she would like to banish from the dictionary. She attributes the hostilities raging across the world to the Intolerance and selfishness of the human race.